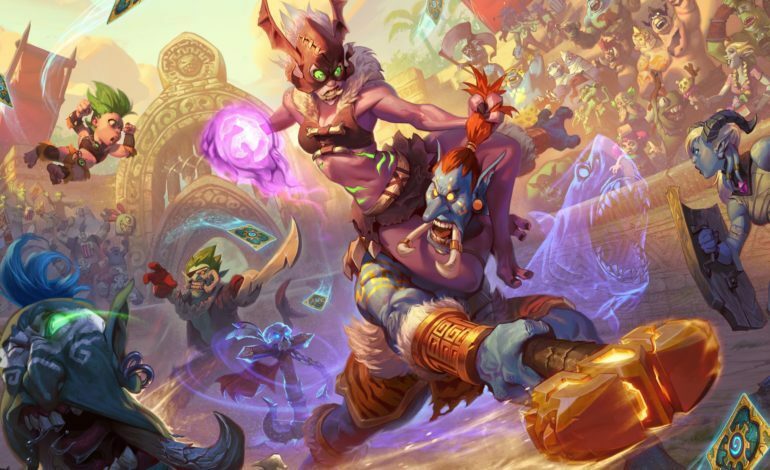 Rastakhan’s Rumble, the newest expansion for Blizzard’s popular card game Hearthstone, announced at BlizzCon 2018, has finally shown its hand. 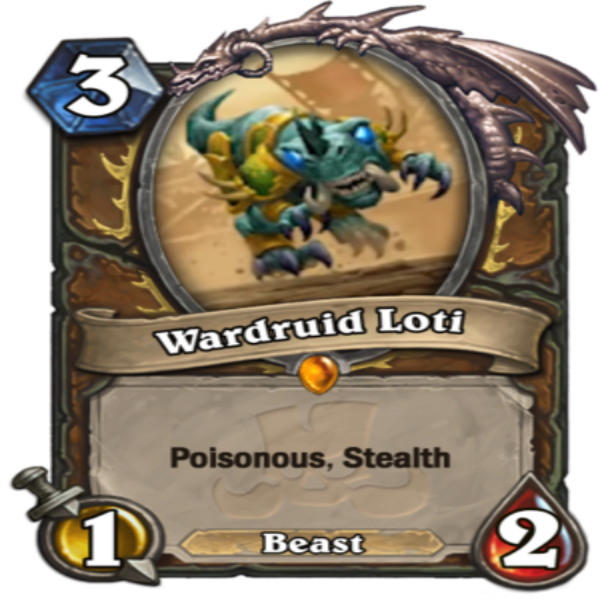 Blizzard announced today that all cards for the expansion have been revealed. 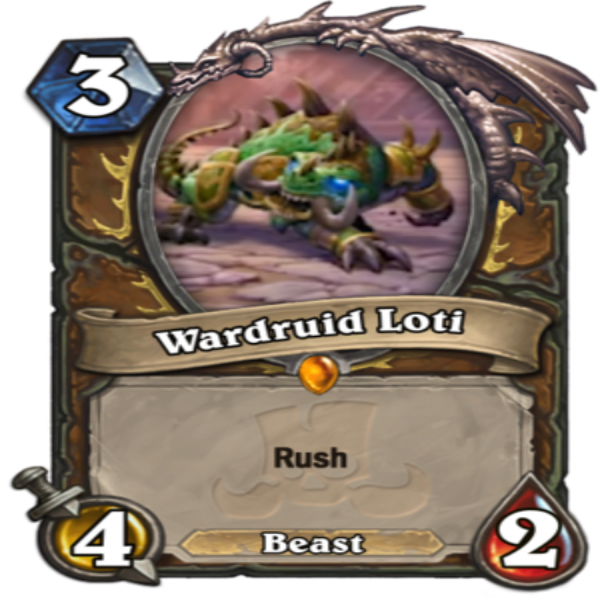 Rastakhan’s Rumble will add 135 brand new cards, the last of which were released just today. 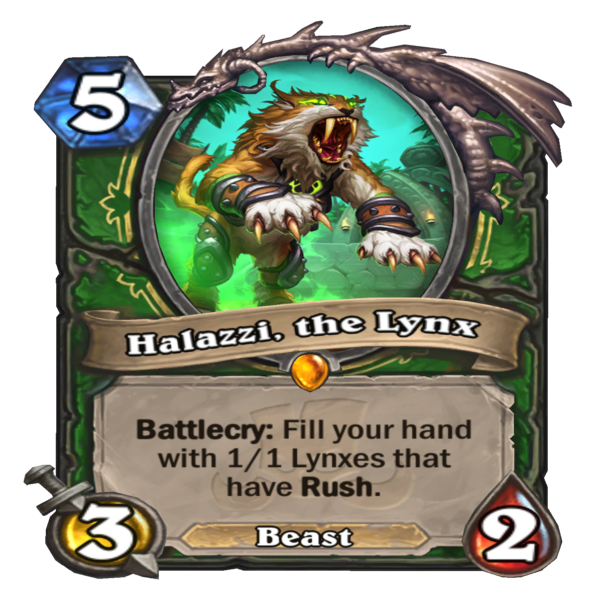 The latest additions are Halazzi, the Lynx, a 3/2 Legendary Beast card with a Battlecry that allows players to fill their hand with 1/1 lynxes with Rush, and Spirit of the Lynx, a 0/3 that gives all Beasts summoned to the field a +1/+1 bonus. Playing the two cards in conjunction with each other will allow players to quickly stack their side of the field in an attempt to overrun their opponent. 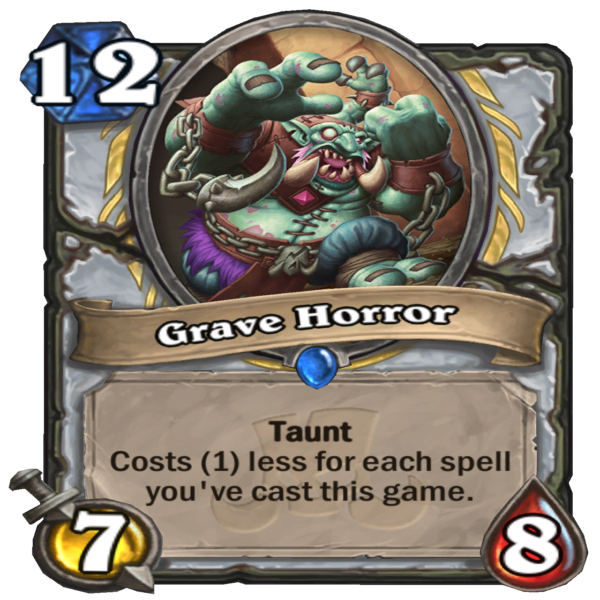 Other notable additions include the Legendary Hakkar, the Soul Flayer and Corrupted Blood. 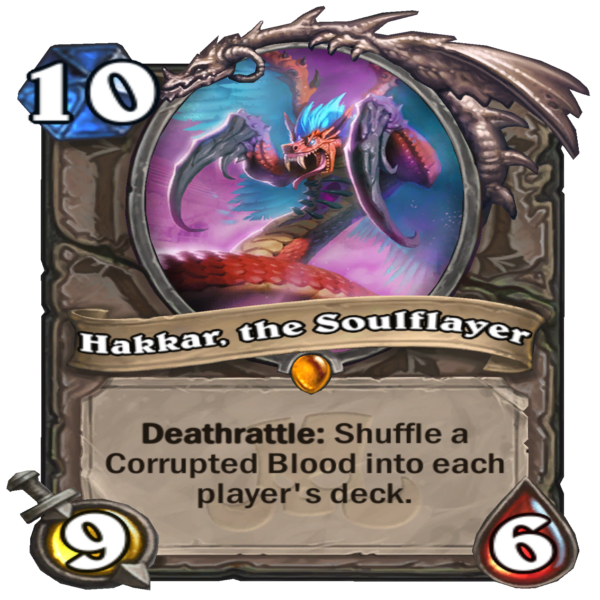 Hakkar, the Soul Flayer, a 9/6 costing 10 mana, has a Deathrattle where one copy of Corrupted Blood gets shuffled into each player’s deck. 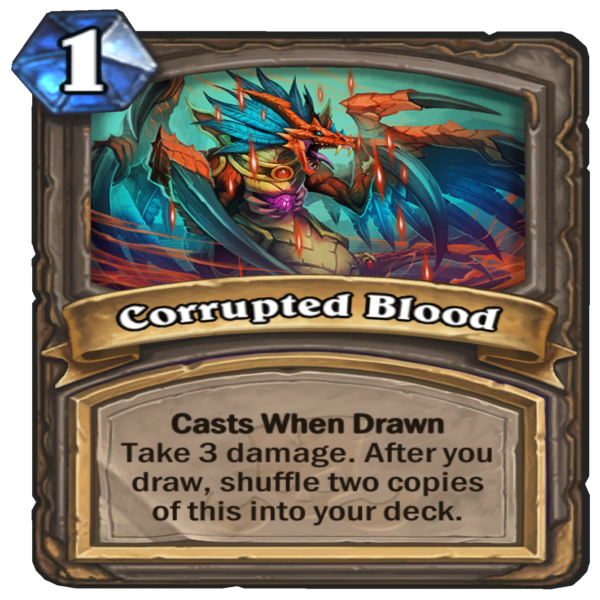 Upon drawing a Corrupted Blood, players will receive three damage, and be forced to shuffle two more Corrupted Blood into their deck. It’s a high risk-high reward combo mainly relying on the luck of the draw, as both players are affected by Hakkar, but when successfully executed will be a satisfying route to victory. 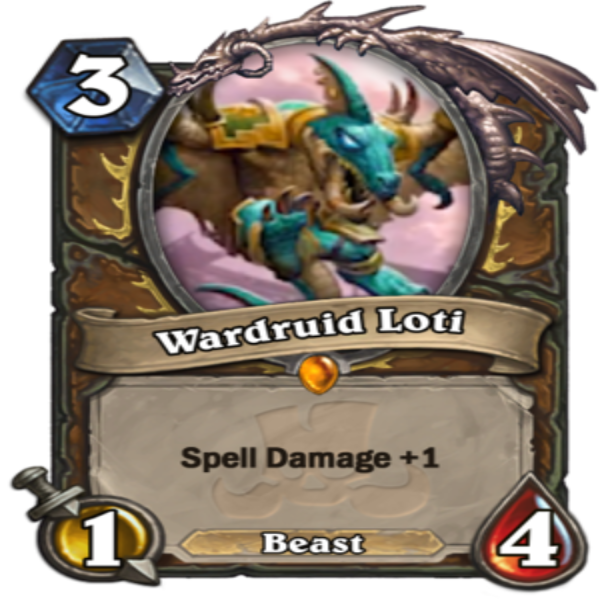 Versatility is the name of the game with Wardruid Loti, a Legendary costing just three mana. 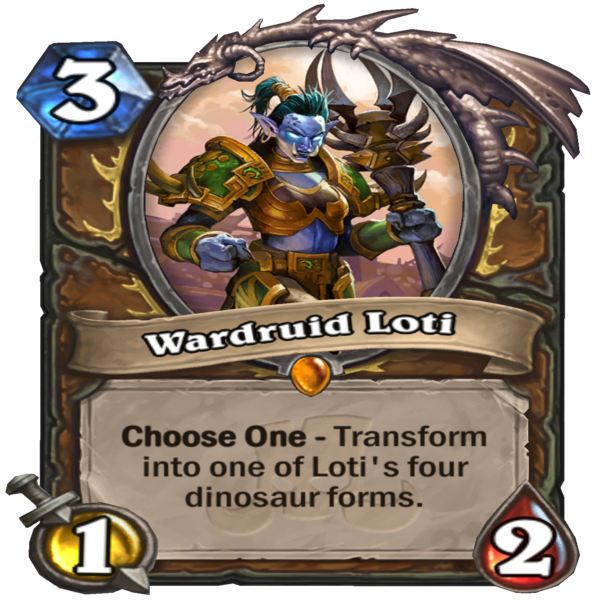 When played, players choose which of her three prehistoric forms they wish to send into battle; a 1/6 with Taunt, a 1/4 with +1 spell damage, a 1/2 with Poisonous and Stealth, or a 4/2 with Rush. Allowing players to adapt a single card to their strategy, regardless of the situation they find themselves in, will be invaluable. 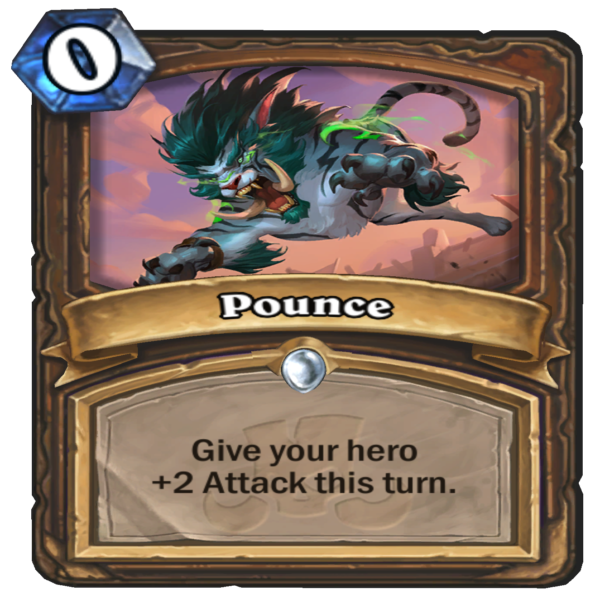 Every Hearthstone player has undoubtedly run into a situation where they’ve spent all their mana, but feel like they just need a little bit more boost to put them over the edge and secure victory, or stall their opponent another turn while they wind up for the K.O. punch. 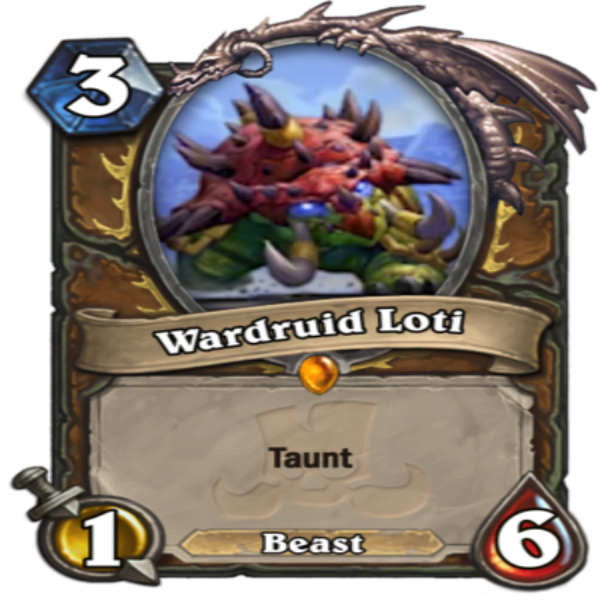 Rastakhan’s Rumble adds a handful of zero mana cards for just that type of situation. 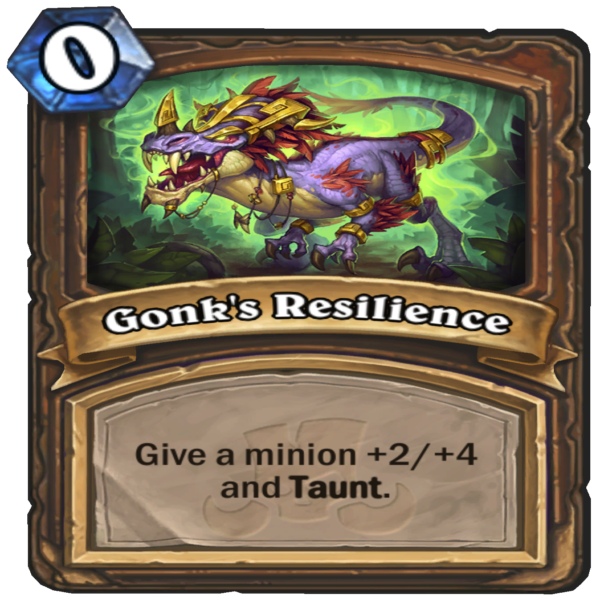 Regenerate gives the player three more health, while Gonk’s Resilience gives Taunt and a +2/+4 boost to a minion, and Raptor Pack stacks your field with a pair of 3/2 raptors. 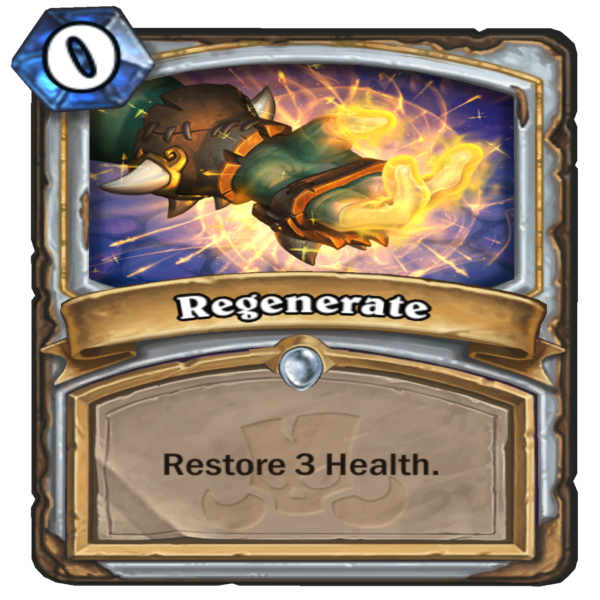 All are good ways to stave off defeat for a little longer, either by giving your health a slight regeneration or making it so the opponent can’t attack your hero until they go through some bodyguards. 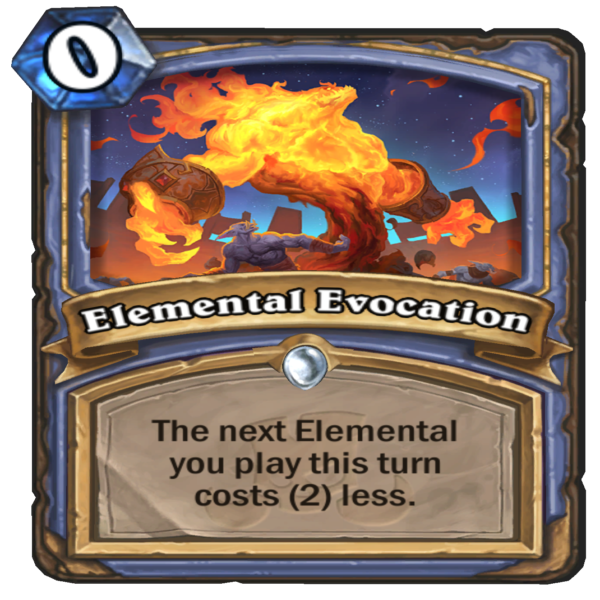 Elemental Evocation reduces the cost of the next friendly Elemental played and Pounce gives the player +2 attack for their hero, quick ways to do just a little more damage or beef up your minion count. Players who love to stack their deck with spells are also in for a treat. 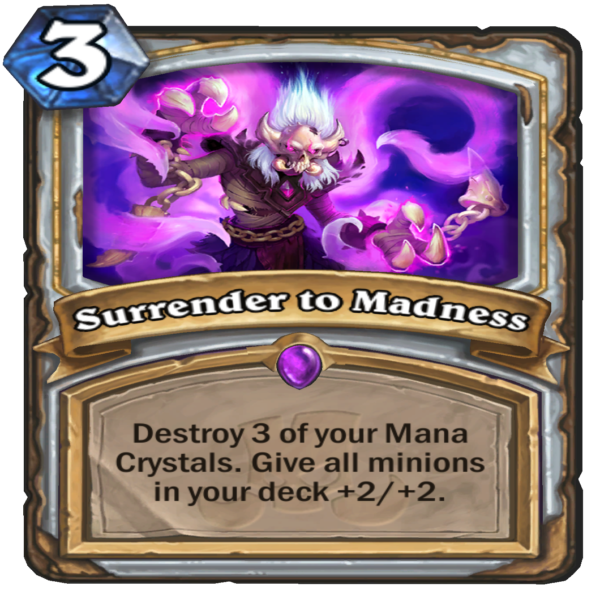 Surrender to Madness allows players to give all minions in their deck +2/+2, provided they can stand to destroy three mana crystals. 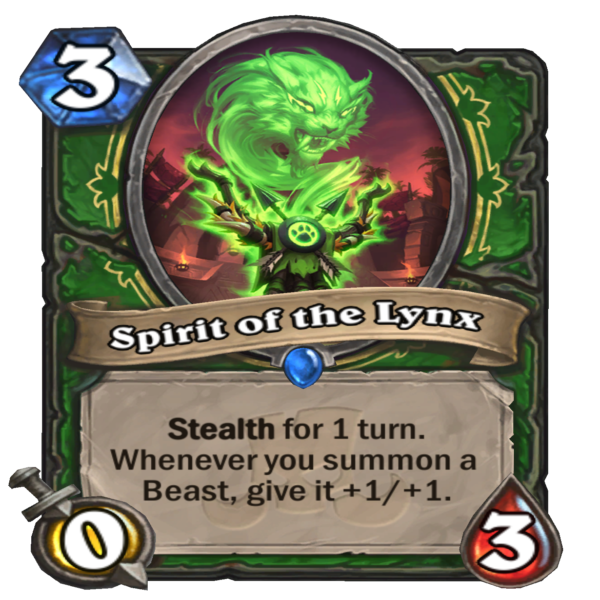 Play enough spells over the course of a game and you could potentially summon some beefy creatures outside the normal reach of the max mana crystals. 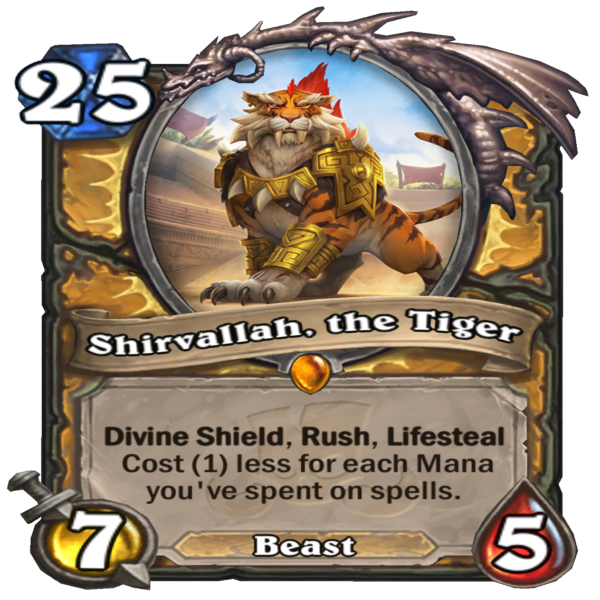 Grave Horror, a 7/8 monstrosity with Taunt and Legendary Shirvallah, the Tiger, a 7/5 beast with Devine Shield, Rush, and Lifesteal both cost more than that 10 mana max, but the former is reduced by one for each spell played and the latter by the amount of mana spent on spells. Both can turn the tide of battle for the sneaky spellcaster. 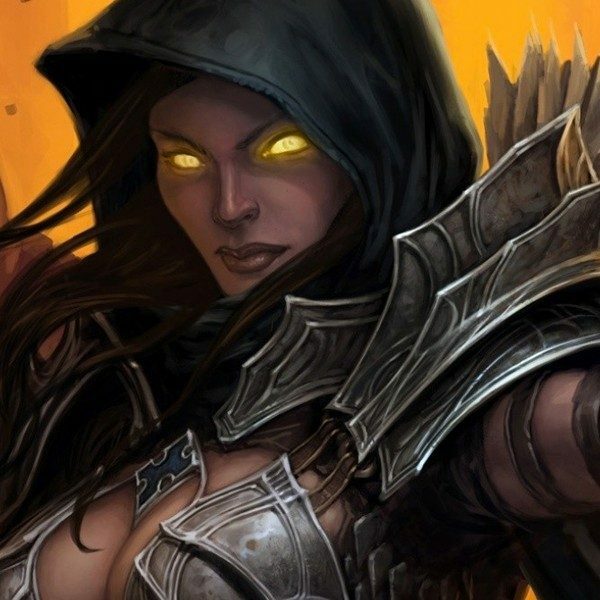 For those players who like a good toolkit to aid their minions and spells, the new expansion adds some killer weapons to the player’s arsenal. 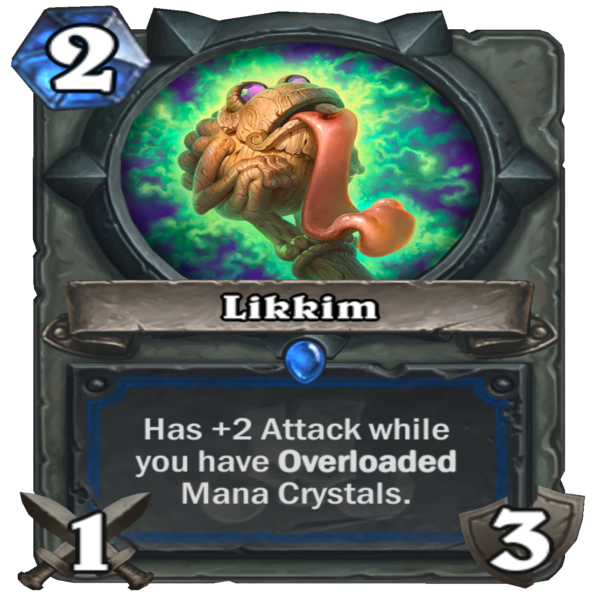 Likkim is a 1/3 weapon which gives itself a bonus +2 attack when a player has Overloaded mana crystals, meaning a card with Overload played previously locks up some mana crystals for a turn. Farraki Battleaxe and Sul’thraze are two new weapons that utilize the new ability Overkill. Overkill activates when the amount of damage dealt by a card exceeds the amount of health needed to destroy a minion (i.e. a 3/3 attacking a 2/2). 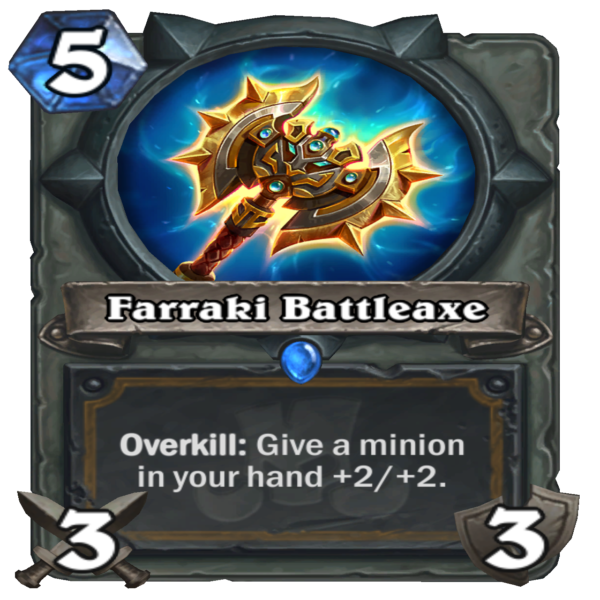 Farraki Battleaxe is a 3/3 weapon that gives a minion in hand a +2/+2 with Overkill. 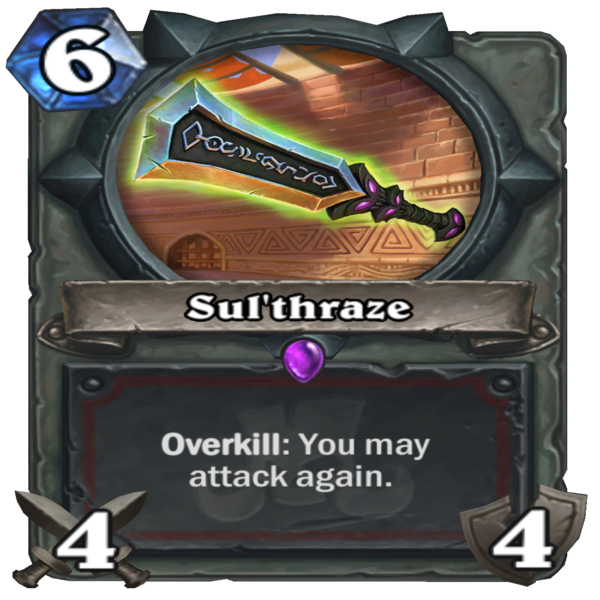 Sul’thraze, a 4/4 weapon, can attack again when Overkill is activated, allowing a player to smash through an opponent’s weaker line of defense. Rastakhan’s Rumble releases on December 4, but don’t let that stop you from getting your cards before then. 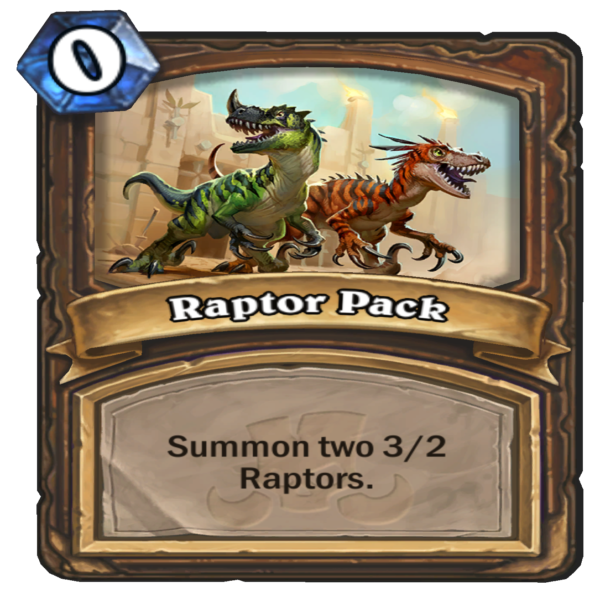 Packs can be pre-ordered in two bundles: the Challenger’s Bundle ($19.99) which includes 17 Rastakhan’s Rumble packs and the Ready to Rumble! card backs, and the Rumble Bundle ($49.99) which includes 50 Rastakhan’s Rumble packs, the Ready to Rumble! card backs, and the King Rastakhan Shaman Hero. Each pack can be purchased once per account, and are available now through the game client or the Blizzard Shop. If you’re looking for even more information on the new expansion, mxdwn sat down with Hearthstone Senior Game Designer Peter Whalen and Lead Server Engineer Seyil Yoon at BlizzCon 2018 to talk about Rastakhan’s Rumble, so be sure to check it out!